"Hotel it self clean and big rooms." Have a question for Mukdaview Hotel? "The bathroom is clean and practical." "The room was clean, wifi works good." "The rooms are big and it is very clean." 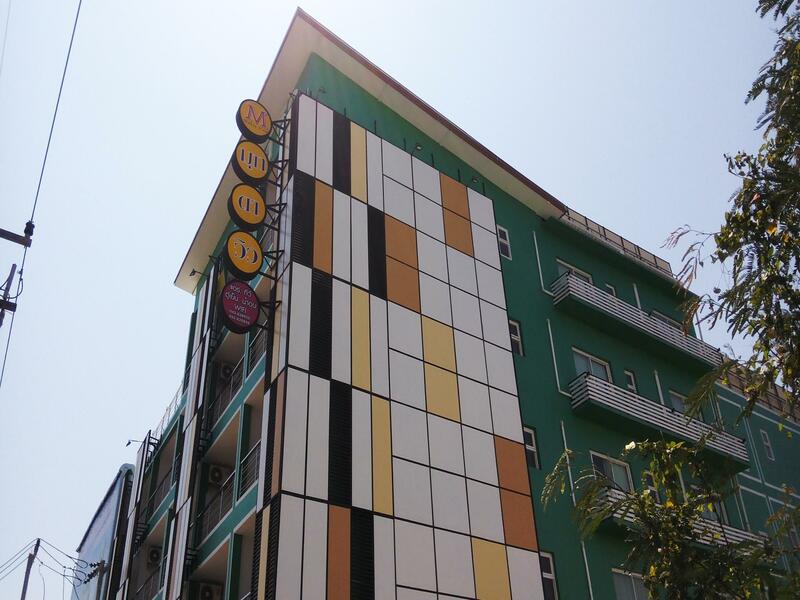 Offering quality accommodations in the restaurants, shopping, sightseeing district of Mukdahan, Mukdaview Hotel is a popular pick for both business and leisure travelers. The city center is merely 2 KM away and the airport can be reached within minutes. With its convenient location, the hotel offers easy access to the city's must-see destinations. Take advantage of a wealth of unrivaled services and amenities at this Mukdahan hotel. To name a few of the hotel's facilities, there are 24-hour room service, free Wi-Fi in all rooms, 24-hour security, wheelchair accessible, 24-hour front desk. Step into one of 47 inviting rooms and escape the stresses of the day with a wide range of amenities such as mirror, slippers, towels, closet, internet access – wireless (complimentary) which can be found in some rooms. 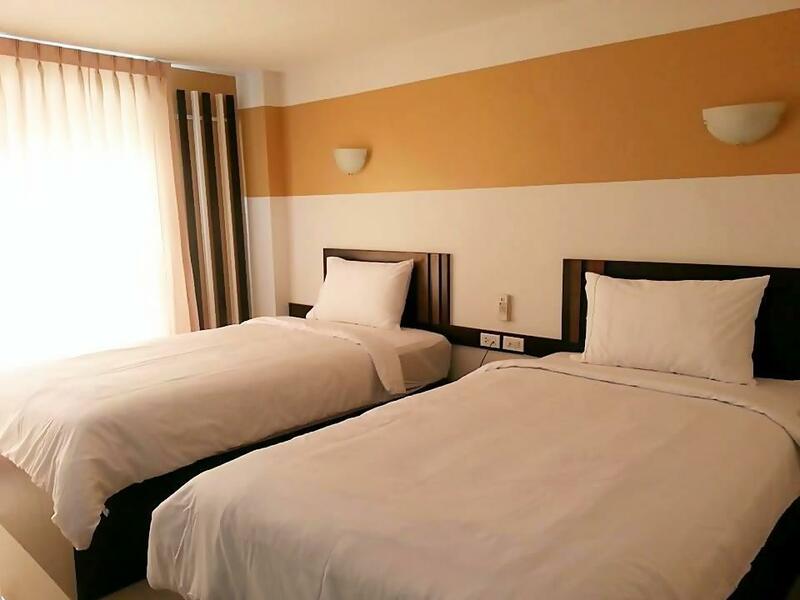 The hotel offers wonderful recreational facilities such as games room to make your stay truly unforgettable. With an ideal location and facilities to match, Mukdaview Hotel hits the spot in many ways. The room was clean, wifi works good. Location is outskirt of town opposite of the tower. Breakfast was menu with some options that customers can choose. Overall a good stay. I didn’t stay here myself. I booked for my family. They said it was good. Very new and clean room in the outskirt of the city opposite of the tower. The staff was nice. wifi good. Right next to the aweful tourist tower. A little bit lonely part of town. Rooms to the main road very noisy by traffic and karaoke bar across the road. Bed mattress Thai style, uncomfortable and hard as a rock. Hotel it self clean and big rooms. This hotel offers much for a few money. The rooms are big and it is very clean. The bathroom is clean and practical. The staff is very helpful and friendly. We will go back to this hotel when we're going to Mukdahan. Prijs en kwaliteit staan niet in verhouding tot elkaar. Voor de kwaliteit die in dit hotel wordt geleverd, betaal je vaak een veelvoud van de door het hotel gehanteerde prijs. De ligging is weliswaar niet optimaal maar het rechtvaardigt zeker de 4 sterren. Het enige wat enigszins verbeterd kan worden is het ontbijt, maar dat heeft denk ik ook te maken met persoonlijke smaak. Voor de rest een puik hotel waar ik nog heel vaak gebruik van zal gaan maken en dat ik ook van harte zal aanbevelen aan vrienden en kennissen.